The idea for Lil Girls Glam came to owner Jenise Stowers-Dunn unexpectedly. She was sitting at home one afternoon watching the Tyra Banks show. Banks was interviewing a business owner who owned a dance company and party business in Maryland. Stowers-Dunn loved the idea, so she went to work on creating her own. 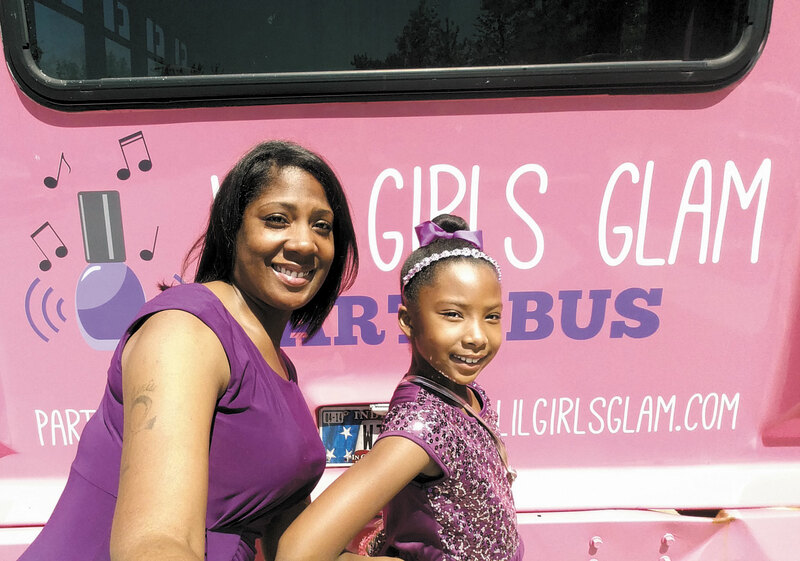 In April 2015, Lil Girls Glam, a full-service spa party bus for girls ages 4–14, was born. The business is the first of its kind in Indianapolis. In less than three years, the company has been invited to the Black Business Owners Block Party, Kids Takeover Broad Ripple weekend and, most recently, the Midwest Natural Beauty Barber & Health Expo. We sat down with Stowers-Dunn to learn more about the company, what she’s learned since starting it and where she’s headed next. IMBM: How did this business first start? Stowers-Dunn: I started doing parties for my daughter and her friends. I’d invite them over and charge their parents for the things I needed to purchase for the party. Then, I’d market it using social media. I did all types of parties: tea parties, spa parties and parties at summer camps. The girls really enjoy it. When they see the pink bus coming they’re screaming and jumping up and down with excitement! From the time we pull up until the time they leave they’re getting pampered. All the things you’d enjoy having at a spa, we’ve recreated that on this bus. Why is it important for these girls to get pampered? It’s important for them to know how to take care of themselves, think positively and have good self-esteem. One of my favorite things is telling them how pretty they are, letting them know their skin is beautiful, so that they know how great they really are. We have a nail station, a station where the makeup is done, and a wardrobe closet so the girls can dress up in different clothes. We’ve also got a TV, and a karaoke machine for when they’re all glammed up. Why is this business important to you? I genuinely have a love for children. Before doing this business I always had children at my house. Everyone knew they could come over and spend the night and they’d be taken care of. I enjoy inspiring the girls and making them feel important. But at the end of the day, I want to establish Indy Glam Girls well enough to pass down to my 9-year-old daughter. What advice would you give to new business owners or people looking to start a business? Do something that you’re passionate about so you won’t get tired of it. Also, get with other business owners to network and support each other and create an awareness about your business. What have you learned through this process of starting your business? Don’t change your process; whatever your process is, leave it at that. I have also learned that each girl is different; not all girls like makeup or having their nails done. It is our job to make these girls feel just as special as all of the other girls. The Indy Glam Girls Party Bus runs year-round and serves the greater Indianapolis area. For more information, visit lilgirlsglam.com.